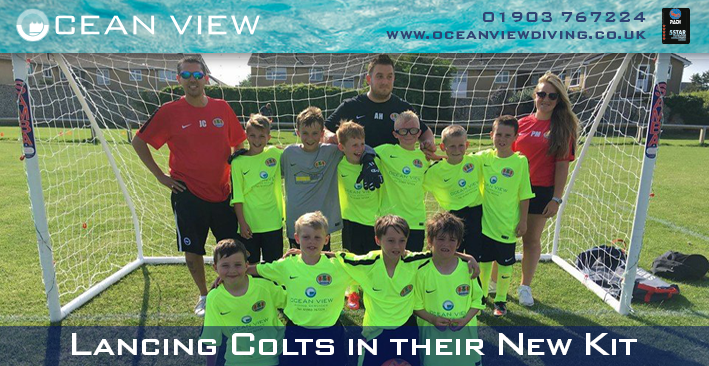 Lancing Colts get a new kit. We are proud to be able to be a teeny bit of support to one of our local youth football teams. We run diving lessons for youngsters with the PADI Seal Team, one of our Seals, Louis Holder, is a member of a local youth football team, the LANCING COLTS. When they were looking for sponsors to support them, we were happy to say yes to helping them get some new kit. As you can see from the pictures, they all look fantastic, and the match they played on the day they were given their new kit was a fantastic one for them 5-0 win to the Colts, and the other team were all a year older! 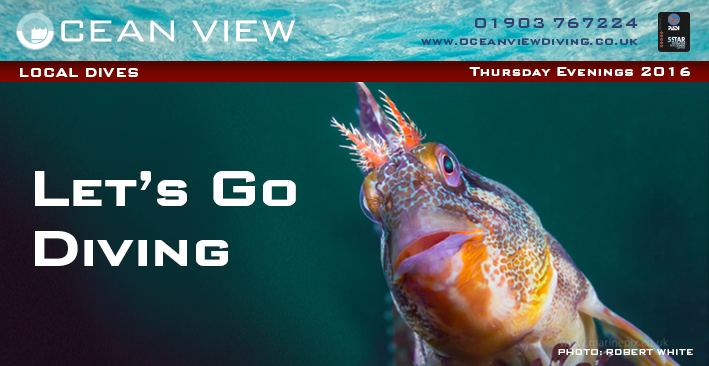 So a BIG WELL DONE from us here at Ocean View!! 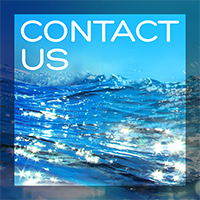 Do you want to improve your dive skills in a certain area, do you want to get more comfortable at depth, do you enjoy the idea of hovering around wrecks taking in the history and scenery, or perhaps you would like to fine-tune your buoyancy? 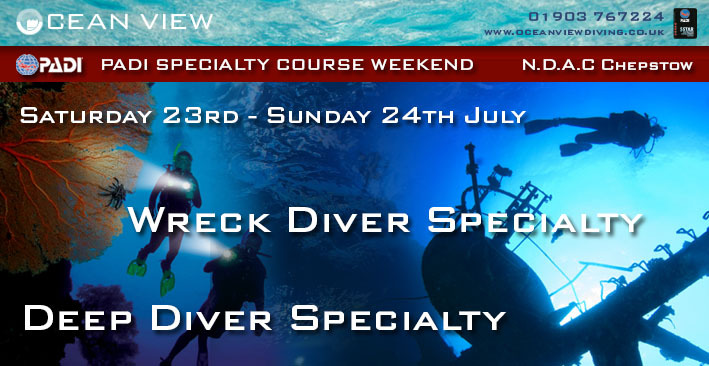 We are planning to run a weekend at N.D.A.C on Saturday 23rd – Sunday 24th July, if you would like to join us for some either the Deep or Wreck Specialty courses, why not give us a call to discuss your requirements, and book your places. We have started up a regular Thursday evening boat dive out of Brighton. These will generally be leaving the Marina around 6:00pm. This is a chance for everyone to get out there and do some proper diving in the sea, rather than splashing about in muddy ponds. All this is going to cost is £25 for the dive (unless you need to hire equipment). You can park in the marina for free and of course as a club member your air is free too. The boat is a hard boat moored at the Marina and it has a diver lift on it, so no climbing up ladders! The first trip out was on Thursday 7th July, each week will be a maximum of 8 divers on a first come basis. One very important thing to note though, please, please, please……..if you say you want to go and dive, please go as if you drop out or cancel and YOU don’t fill the space it is only fair that you will be expected to pay. These will generally be between 10m and 18m dives, so virtually every one can do these. 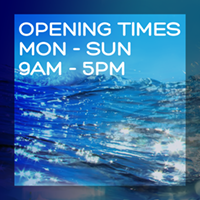 You can book on as singles, buddy pairs, on just one or all the dives, but it will be on a first come basis. Oh and by the way rumour has it that there may well be members of Ocean view staff going out as well!